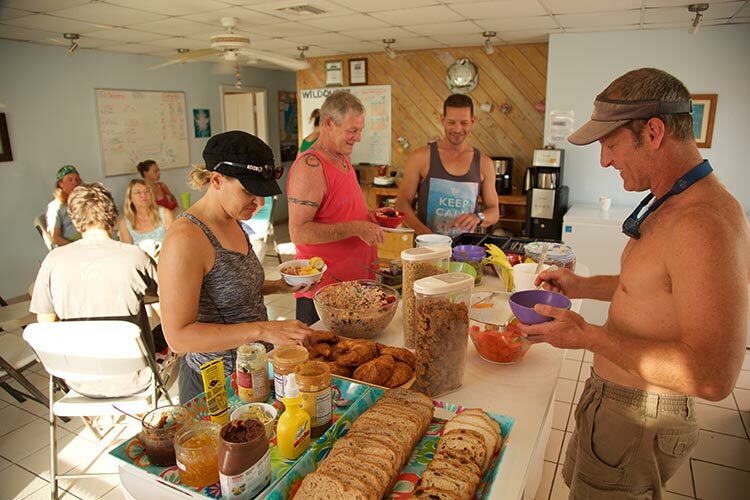 Sacred Journey Retreats are run by the resident WildQuest crew. Kind, knowledgeable, full of heart and very friendly. The team is expert in taking care of your every need, on the boat and on land. 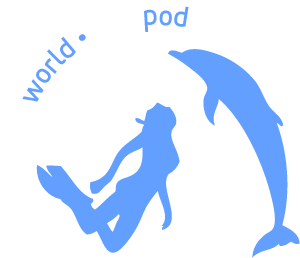 More like friends in a ‘human pod’, the crew, have been working together for many years, with one goal: to create a Sacred Journey into the dolphins’ world, for you to meet the majesty of the ocean and most importantly, the sacred within you. Yoga and Meditation are a main part of each Sacred Journey week, (but optional if you’d rather do your own thing). 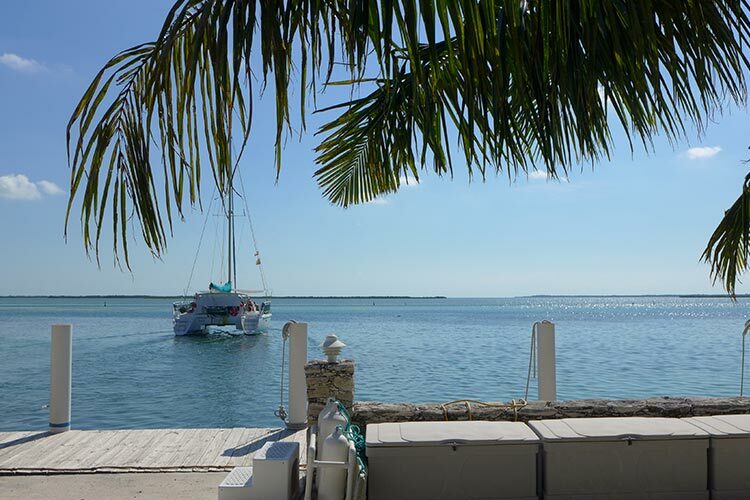 Designed to relax you ready to meet the dolphins from a rested, stilled space. The easier you breathe on land and in the water, the easier it is to connect with the dolphins. 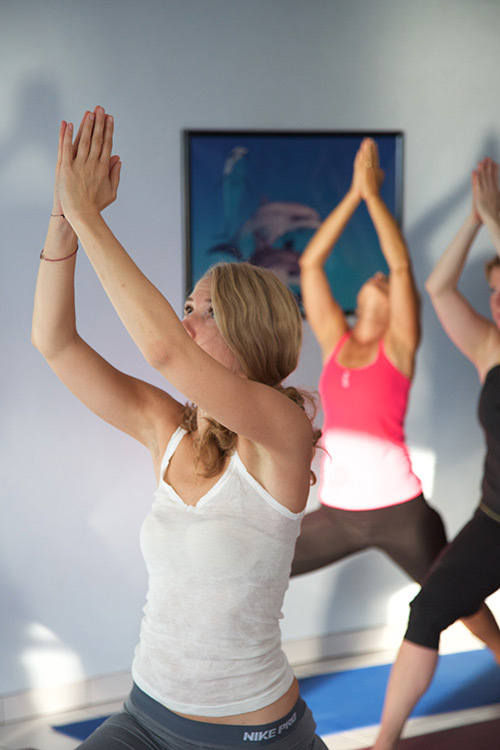 Yoga is also a great way to stretch, open up, tone and strengthen the body. Your body, your beautiful vehicle on this planet, will appreciate it. Every week we see transformation happen. These holidays can be powerful, expansive and heartfelt. A vacation from your usual self. There’ll be much laughter, maybe tears, great new friendships and moments you’ll never forget. Check out below what a typical day at WildQuest might look like. Come and learn something new and let go of the old. 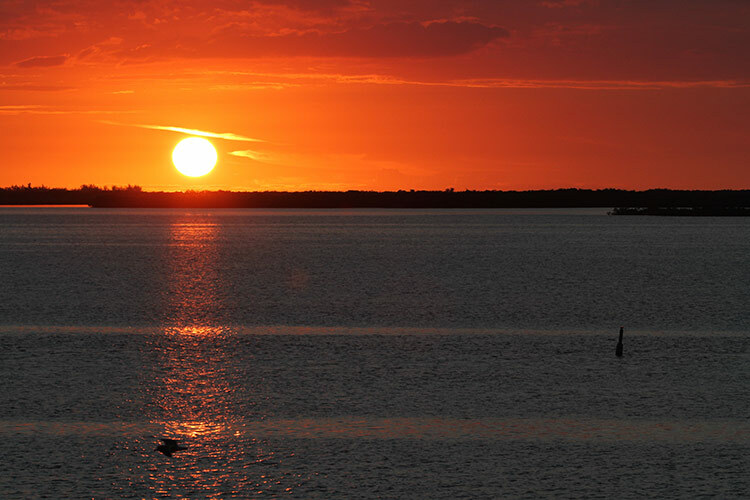 Our program is a group retreat/wilderness experience, designed to re-connect us with ourselves, each other and the dolphins, in a loving supportive environment! Meeting the dolphins is magical. They’re just being what they really are. All you need to do, to be the same, is relax. That’s how our holidays are designed. For letting go and blissing out. They help us plug back into our hearts. Meeting, being to being. No personalities, no boundaries, pure presence. Connection. 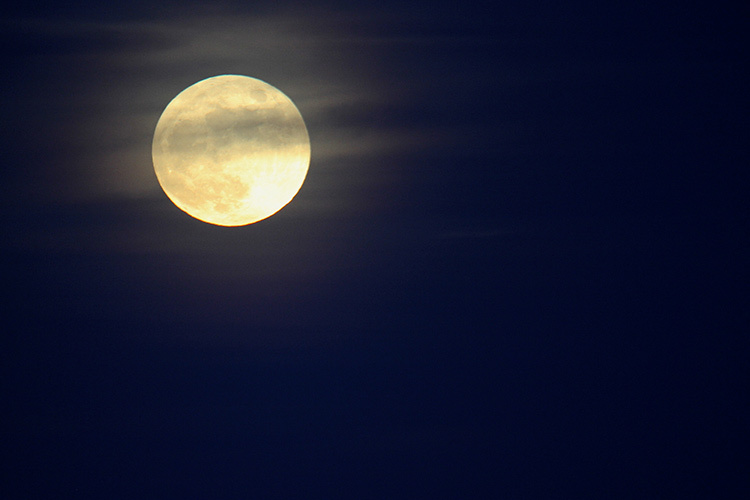 A resonance of oneness many seek through spiritual practice. What a delightful combination. Nurturing exercise, mindfulness, wholesome healthy food, lazy ­days cruising out into open, warm, aquamarine seas to find the dolphins, chilling out on a boat-­full of like-minded people, with loving support from all crew. Retreats at WildQuest leave you rejuvenated. Full again, with the joys of life and a renewed sense of connection. Check the schedule for your favourite time to join us. You’re welcome to stay for two weeks. Or more! Over the bay, reflecting pink and blue clouds above. A gift for your body. A natural, healthy, wholesome buffet. Swim or stroll nearby beaches. 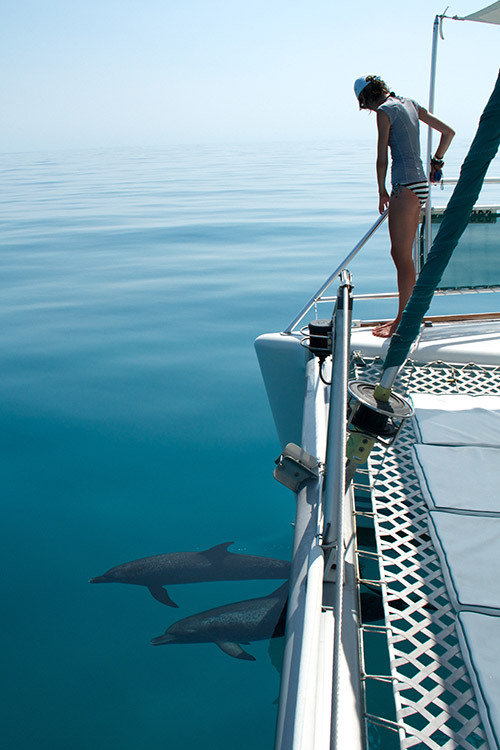 Or try a guided meditation designed to calm and relax you, ready to meet the dolphins. Pack your own to take on the boat. DolphinQuest motors through the bay and turns north, out into open seas. 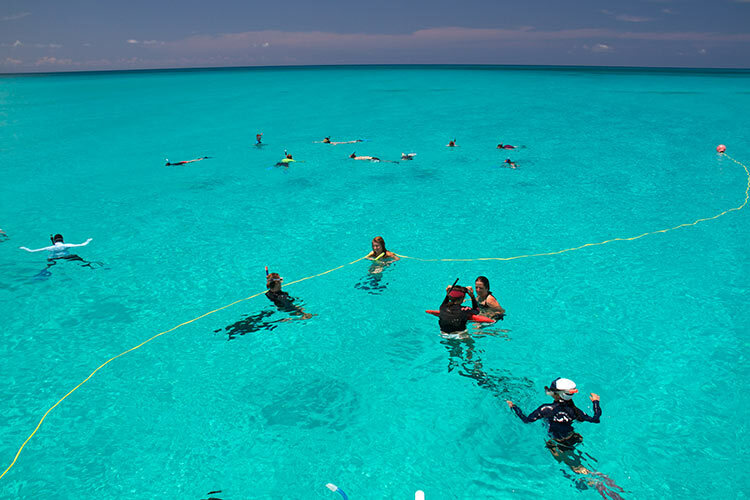 Oh, the joy when we spot those fins somewhere in 40 square miles of turquoise blue depths. Sometimes the dolphins swim along the bow of the boat. Sometimes they stop long enough for us all to slide in and join them. Sometimes they stay a while, checking us out, diving down, coming up to meet us so, so close. Sailing back as the sun sets, stopping off for a swim, maybe dancing on the boat all the way home or sitting silently grateful. Hopefully not sunburnt if you take care. A hot, delicious daily special. We eat out at a local restaurant one day of the week. Before bedtime. 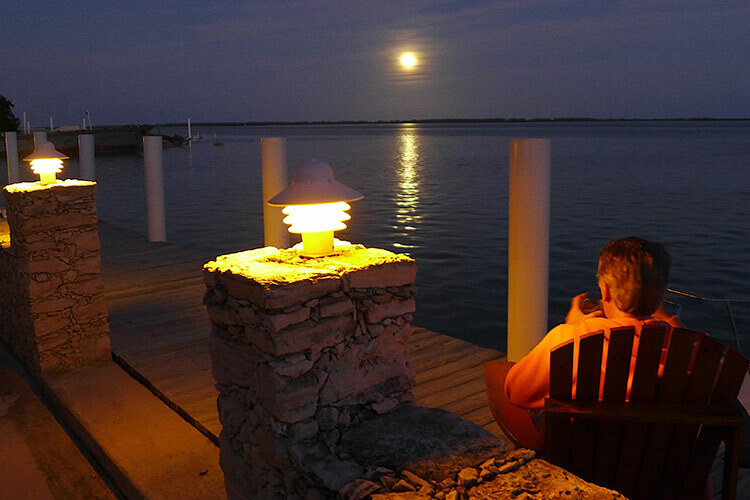 Sunset, a stroll perhaps, or midnight swim, silence, stargazing, a cold beer, fireside chats, good book. Up to you. Relaxing and floating with no tension, with no goal. Allowing the dolphins to approach on their own terms. Receiving the dolphins with open hearts. Enjoying the gift of this moment in time. 12-17 years > $200 discount.